Susie A. (Jarvis) Harper, 69, of Wellston, passed away on Saturday, January 12, 2019. She was born on February 25, 1949 in Gallipolis, Ohio, daughter of the late Donald and Marcella (Nichols) Jarvis. Susie retired from the Jackson Plastic Plant after 30 years of service. 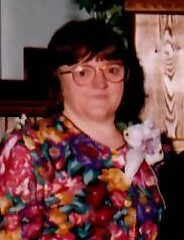 She enjoyed spending time with her family, being outdoors and walking around Lake Alma, reading novels, working crossword puzzles, and watching T.V..
Susie is survived by her son, Duane (Vicki) Harper, Jr.; grandson, Duane Harper III, brother, Donald (Connie) Jarvis; sisters, Patty Goheen, Pam (Arnold) Mullins, Polly (Charles) Brandau, and Vicki (Steve) Martin; several nieces and nephews, as well as her beloved chihuahua, Mouse. In addition to her parents, Susie was preceded in death by her husband, Duane, in 2004. A funeral service celebrating Susie’s life will be held on Wednesday, January 16, 2019, at 1:00 p.m. in the chapel of R.M. Williams Funeral Service, 120 West Broadway St., Wellston. Burial will follow in Salem Cemetery. The family will receive friends at the Funeral Home on Tuesday, January 15, 2019, from 6 to 8 p.m. Please visit www.rmwilliamsfuneralservice.com to leave a message of comfort, encouragement, or condolence to the family or to view Susie’s online video tribute. R.M. Williams Funeral Service, Wellston, is honored to care for the Harper Family.